As I type, we Zilladelphians are hunkering down for our first major snowstorm of the winter. With our bikes tucked away in the garage (save for a couple stubborn riders whom the rest of us suspect may be firing on only three cylinders- no offense, Triumph riders! ), what better way to assuage the effects of seasonal moto-depression than to turn our thoughts to the warm weather of spring and the shiny new gear that comes with it! 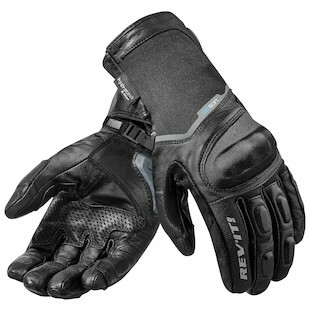 Personally I can’t decide whether I am more excited to get my mitts on the new summer gloves from REV’IT! or for the weather to once again warrant the purchase of such sweet new gear. The 2016 season brings us the redesign of 3 perennial favorites from REV’IT!’s lineup. 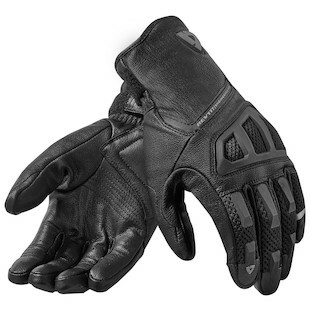 The first and most overdue overhaul of the lightweight Neutron series glove is also the most radical; the new REV'IT! Ion Gloves will supersede the Neutron 2 with far more leather for added protection, while retaining the lightweight feel and massive airflow that made it popular. Gone is the Clarino wrist strap and most of the polyamide stretch- both replaced with formidable goatskin. These welcome upgrades to protection do not come without a less welcome increase in cost, however- one which we wish they could have done without! They will now be priced just beneath the all-star Dirt 2 and Sand Pro models in the 2016 lineup. REV’IT! didn’t get at all overzealous with the update to the all-leather, classic-styled Fly Glove. Au contraire- they leaned it out for better comfort, dexterity, and breathability with the REV'IT! Fly 2 Gloves! The goatskin is now a slightly lighter weight but with heavier perforation- a tradeoff most summer riders (myself included) would make every time. The oversized TPU’s on the fingers have been slimmed down as well, and awkward-length wrist closure is now decidedly short-cuff. They maintained the accordion stretch panel but with better styling cues and finally added touch screen fingers! Better yet, they kept the price exactly the same. For the redesign of the Mulit-ZLA Award-winning waterproof non-insulated Summit H20 glove, REV’IT! took the same “Ain’t broke, don’t fix” approach as they did with the Fly. The REV'IT! Summit 2 Gloves maintain all the fit and features that made the original such a success and simply put the icing on the cake. The new Summit will still be goatskin leather and micro-ripstop Kevlar Stretch but with genuine leather replacing synthetic reinforcements in the grip area. They have upgraded the armor in the knuckle from the skimpy TPU to an ample, comfortable SeeFlex Trionic knuckle guard and added a Temperfoam-backed dual comp slider to the heel of the palm. REV’IT! also streamlined the redundant closure and replaced the heavier leather accordion on the back of the hand with a Kevlar Stretch panel. To top off the upgrades to comfort and convenience, they bonded the Hydratex membrane to the liner for better tactile feel on the controls and added Touch-Tech fingertips. 2016 ZLA award spoiler alert! While there is no arguing the fact that all the premium Euro brands make quality gear across the board, there are certain things each does best. 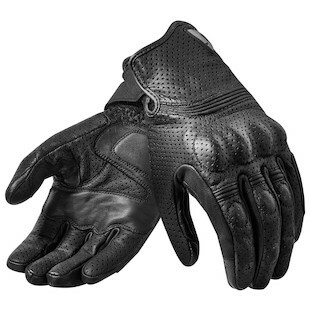 For gloves, I’ll choose the comfort and attention to detail of REV’IT! every time. When spring finally does its thing and the 2 wheeled beasts come out of hibernation, make sure you’ve got a good grip on the horns!